Bit the Cupid is a Japanese anime series produced by Group TAC. Featuring character designs by Susumu Matsushita and CG-animation, the show ran for 48 13-minute episodes on TV Tokyo between April 1995 and March 1996. On January 13, 1998, the Fox Family Channel announced their inaugural lineup of television shows. 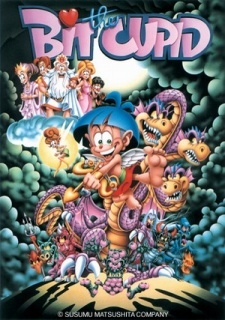 This included an English dubbed version of Bit the Cupid set to air in the morning hours. Produced by Saban Entertainment, the dub was directed by Marc Handler and featured Richard Epcar, Tony McDougall, Jerry Gelb, Frank Catalano and Lex Lang. There are no known home video releases of the series, nor have any clips of it surfaced online.